For the last entry in this series, I wanted to try something a little different – a bright text box over a busy background. Sometimes the background has a good variety of color, but the color is muted. With the brighter text box, it helps draw the eye to what you need to look at and, by keeping it one color, we balance out the busyness of the background. For this example, I’m using the Tides 1 Remix Still from LifeScribe Media. Add the Tides 1 Remix Still as a background. 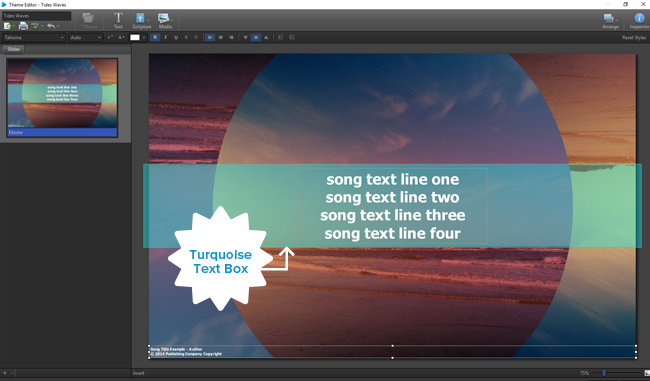 Resize the text box to fit the text. 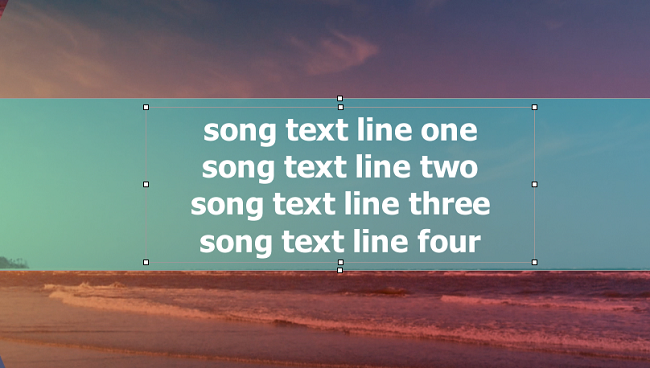 Resize the additional text box to fit the dimensions of the blue stripe across the background. 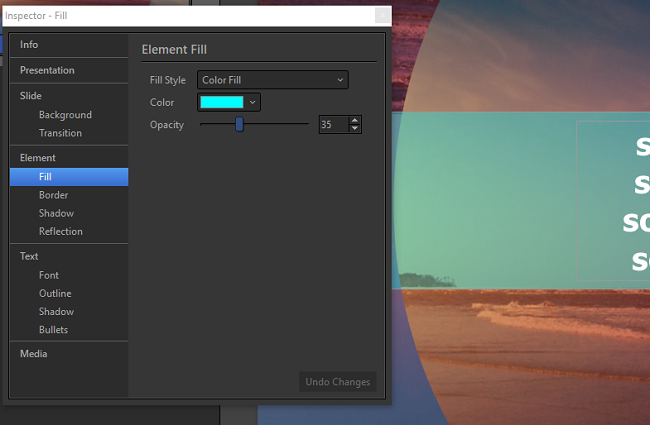 Select the additional text box and in the Inspector, select Fill under Element. As seen below, select Color Fill. Select the Turquoise Color (Row 4, Column 5). Set Opacity to 35. For the text, I removed both the outline and the shadow. And that’s it! Feel free to adjust the opacity, text outline and text shadow to make sure it works the best with your projector. Different projectors can make colors look different and it’s always good to test your slides on the actual projector before going live during your service. If you have examples of slides where you’ve used bright colors, we’d love to hear about them. Or, if you have a background that you would like some help with, comment below. We want to make sure you’re getting the most out of EasyWorship! 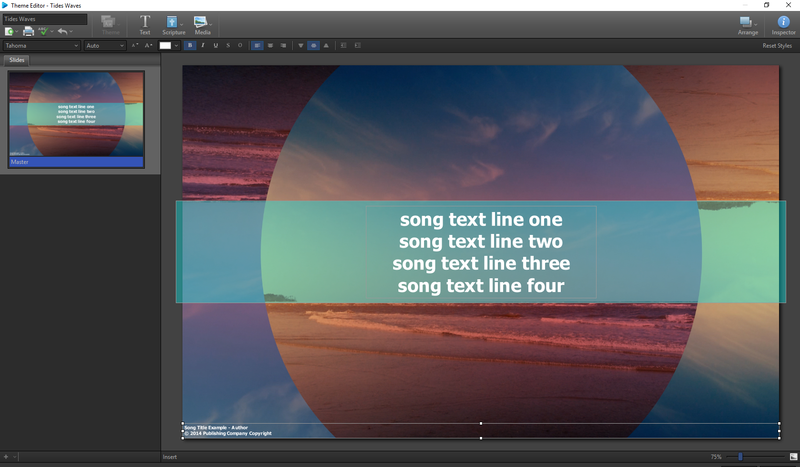 Previous Post How to Use Bright Colors In Your Song Slides, Pt 2.